For three decades, this grandson of Latter Day Saint Movement founder Joseph Smith, Jr. served as the Reorganized Church of Jesus Christ of Latter Day Saints' Prophet-President. Under his leadership, the Mormom church suffered from a controversy over an organizational issue known as "Supreme Directional Control." After earning a bachelor's degree from Graceland College and a master's degree from the University of Kansas, he completed his doctorate in psychology at Clark University. During his presidency, he pioneered his church's involvement in radio broadcasting. 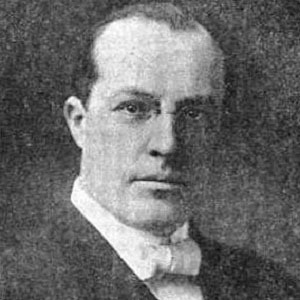 He was married to Ruth Lyman Cobb from 1897 until Cobb's death in 1926. After his own death in the mid-1940s, he was succeeded as Prophet-President by his younger brother, Israel Alexander Smith. He was the grandson of Emma Smith and the son of Joseph Smith III.